I’ve been focusing so much on trying to complete this first draft of Clara and Daphne that sometimes I forget to give myself a break. That or during my breaks I just sleep. I wanted to post a quick update because I feel like a lot is happening while I’m working on this first draft. You might have heard if you’ve been following along on Instagram. As you may or may not know by now Thicker Than Blood is re-releasing this year. Version 2! With a new cover and new interior design (now that I actually have a program that helps make this possible). Today the new cover for TTB was finished, and let me say… this one has blown me away. Perhaps more than all the others because I don’t think I even knew what I wanted until I actually saw the final product. It’s perfect in every way. Anyways, now that I have the new cover I’ll be planning a cover reveal date soon. I’m still working on getting the book print ready. But stay tuned because I want to do the cover reveal soon because I’m hoping to get the book out maybe next month? Spring release and just in time for summer! I hope you guys are as excited as me to see this new version of TTB –the wait was well worth it. We tend to get set in our day to day routines, which means if you have let’s say 9pm as your normal writing time that you either do or don’t write at 9pm each night. The problem with getting stuck to a strict schedule or a “normal” schedule when writing is that it can lead to you being just that –stuck. For me I used to always write at night because I work in the daytime. It made sense to have my designated writing time to be around 9 or 10pm because that was the free time I had to sit down and write. But recently I discover I wasn’t writing as much or even at all for long periods of time. I was too tired or I actually had plans at night that kept me out late. So recently I switched my schedule to writing in the daytime during my lunch breaks. It gives me less time to write, and usually if I’m lucky I only manage 20-30 minutes, but now at least I’m making progress. No matter how small it’s still something. And it means whatever I get done in the day leaves me with more free time during the night –and might I mention, less stress and guilt. So if you feel like your current writing schedule isn’t working don’t be afraid to change it up. In fact, I encourage you to change it. Try different times of the day (or night) to write. Test it out for a few days or weeks maybe. Whatever you find to be the most successful, that’s what you should go with. You don’t need to write every day. I hope this can help somebody out there who is struggling with time management and productivity. I think it’s really healthy to change up your writing schedule and to reevaluate it each month or so to see what’s working and what’s not. For being someone who used to only write at nighttime, I’m really grateful for realizing change can help with reaching my goals. Let me know what you guys think in the comments below. What kind of schedule do you have for your writing, and how do you think it’s working out so far for you this month? As far as personally, I’d like to say I’m a mix between the two. Of course it changes depending on whatever book I’m writing. Cursed With Power for instance I did a lot of plotting for. I have journals full of plotting and timelines, etc. Clara and Claire was a little more mixed. Some parts were planned, other parts I just ran with whatever came into my head. And then when I started writing the sequel I found myself having to plot more because I had to make sure the timeline made sense and connected with the events we found out about in the first book. Here’s the thing: whether you’re a plotter or a panster –or maybe a little bit of both –it doesn’t matter so long as you’re writing the story in the way that makes the most sense to you. Stay true to yourself and do what works for you. Everyone’s different. Let me know what you guys think in the comments below. Are you a plotter or panster? Has one worked out better for you than the other? But first, let’s talk about February. February was a hard month for me as far as from a writing standpoint. I unfortunately had some serious writer’s block, and overall I wasn’t feeling motivated. I can’t exactly explain how. These things happen, and I know it’s normal, but it’s still disappointing to fall behind. So moment of honesty, let’s talk about what my total word count for the month of February was. Yeah, not good. February was probably my least productive writing month in a long time. I don’t usually share my monthly results, but I decided to (and hopefully from now) so you guys can hold me accountable. And for those of you who are struggling like me –you’re not alone. So as for my goals for March? 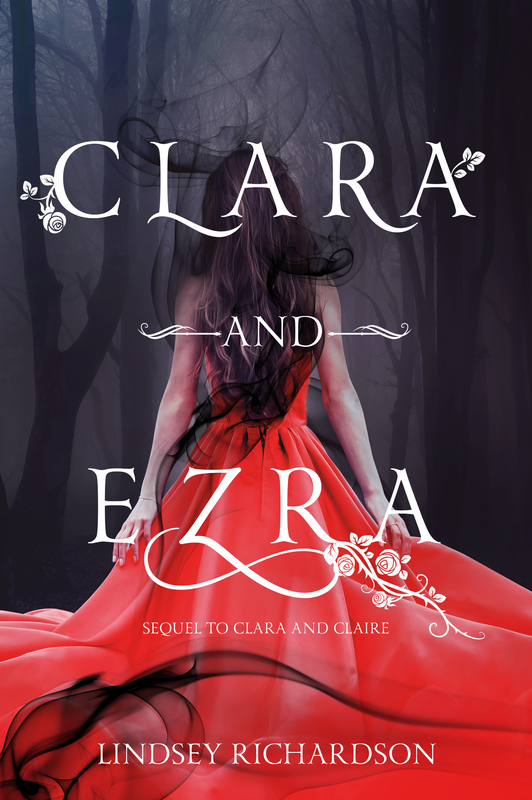 I’m hoping to reach 35k in Clara and Daphne. Or at least 30k. Right now I’m at 22k, so it’s definitely doable if I refocus and find different ways to stay motivated. I’m finally going to write up some planned blog posts, so I can post more frequently for you guys. And I just purchased something so I can upload videos IGTV and maybe in the future record videos for Youtube. This is something new I’m still working out, but for beginnings I’m going to do more videos on IGTV and hopefully some more live videos on Instagram if people join in. Other than that, let me know if there’s anything else you guys would like to see either on Instagram or on the website here. Thanks so much for your support as always guys. Let me know what your March goals are in the comments below. Thank you to everyone who’s made this book launch a success!